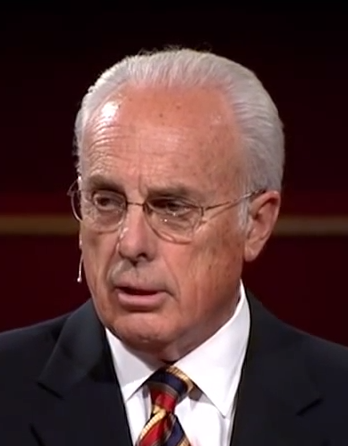 The Text of the Gospels: Mark 16:9-20: Is John MacArthur a Liar? Mark 16:9-20: Is John MacArthur a Liar? Grace To You, a California-based ministry, is still spreading the false statements about Mark 16:9-20 that are found in John MacArthur’s infamous sermon, The Fitting End to Mark’s Gospel. Here are some of them. ● MacArthur conveyed that copyists of New Testament books wrote one letter, and then took a bath, and then wrote another letter, and took a bath, and so forth. This is false. When Grace To You spreads this sort of nonsensical fable, they insult viewers’ intelligence. ● MacArthur said that all manuscripts of the New Testament survived after the Council of Nicea in 325 because no one was banning them or destroying them. This is false. The natural effects of humidity destroyed many papyrus manuscripts. There were still areas where Christianity was opposed. And there are many cases in which Christians themselves destroyed ancient manuscripts by recycling their parchment to use as material with which to make new books. ● MacArthur stated that the earliest copies of Biblical texts are Codex Sinaiticus and Codex Vaticanus. This is false, inasmuch as the Dead Sea Scrolls are older than those two manuscripts, and so are some New Testament papyrus manuscripts (P52, P104, P45, et al). ● MacArthur said that Codex Vaticanus contains both the Old Testament and the New Testament. It should be clarified however that Codex Vaticanus does not contain the books of First Timothy, Second Timothy, Titus, Philemon, and Revelation; in addition, the Old Testament text in Codex Vaticanus is a Greek text, primarily a form of the Septuagint, which includes apocryphal books (Tobit, Bel and the Dragon, etc.) and which varies in many other respects from the Hebrew-based English translations that MacArthur uses and endorses. ● MacArthur, referring to Latin manuscripts, conveyed that there are “eight thousand copies going back to the fourth century” but what ought to be said is that the Vulgate was translated in the fourth century, and our extant copies of the Vulgate were produced later. There were later revisions of the Vulgate, such as the revision undertaken by Charlemagne’s scholar-advisor Alcuin. It is not as if all existing copies of the Vulgate read the same as the Vulgate as it existed at the end of the fourth century. ● MacArthur stated, referring to Syriac manuscripts, “There are 350 copies that go back to the 200s, very ancient manuscripts.” In real life, the number of Syriac manuscripts with text from the New Testament that were made in the 200s is zero. There are two major Syriac manuscripts that represent an early Syriac text of the Gospels (not the whole New Testament). The 350 Syriac manuscripts to which MacArthur refers are copies of the Peshitta, a translation which scholars such as Syriac-specialist Sebastian Brock do not consider earlier than the late 300s in terms of its creation. In terms of the production-dates of manuscripts of the Peshitta, its representative manuscripts are all significantly later than the 200s. ● MacArthur, after describing Greek, Latin, and Syriac manuscripts, said, “When you compare all of these manuscripts, they’re all saying exactly the same thing.” That is outrageously false – so false than it must be concluded, if one assumes that MacArthur had no desire to deceive, that MacArthur does not know very much at all about the contents of ancient manuscripts of the New Testament. It boggles the mind that MacArthur was capable of saying such a thing in the course of a sermon in which he rejected Mark 16:9-20, because in those thousands of copies of the Vulgate, and in those dozens of copies of the Peshitta, Mark 16:9-20 is in the text. MacArthur makes it seem as if the opposite is the case. Grace To You spreads this severe misrepresentation of the evidence every day they keep MacArthur’s sermon online. ● MacArthur claimed that using 32,000 Scripture-quotations made by patristic writers, it is not only possible to reconstruct the entire New Testament, but that “it matches perfectly all other manuscript sources.” This too is absurd. Dozens of patristic writers, in the era of the Roman Empire, quoted from Mark 16:9-20 and used the passage as Scripture; this alone proves that what can be reconstructed from patristic quotations does not match perfectly with “all other manuscript sources.” A brief investigation of practically any major patristic writers – Irenaeus, Clement of Alexandria, Origen, Basil of Jerusalem, Chrysostom – will show that their quotations do not match perfectly with each other, let alone with “all other manuscript sources.” MacArthur’s claim about this is preposterous, and the staff of Grace To You should be ashamed to participate in the circulation of such nonsense. ● MacArthur claimed that over 19 thousand quotations from the Gospels in patristic writings “read the Gospel text the very same way you read them in your Bible today.” This is not just one absurdity, but a stack of absurdities, a tower of absurdities. It is a statement which can only be made by an honest man if he has vigilantly avoided studying the materials about which he is speaking. Anyone who picks up an ordinary UBS Greek New Testament and reads its textual apparatus with a modicum of understanding will see that there are hundreds of textual contests in which some patristic writers favor one reading, and other patristic writers favor a rival reading. Grace to You should not expect to be trusted while it spreads claims that are refuted by a basic familiarity with the evidence. ● MacArthur conveyed that the original text of the New Testament was “preserved and protected as it was passed down.” Without testing this claim, I merely wish to raise a point: considering that out of 1,670 Greek manuscripts of the Gospel of Mark, only three end the text at 16:8, how can MacArthur say one minute that the original text has been preserved and protected as the text was passed down, and then say the next minute that 99.8% of the Greek manuscripts of Mark contain a “bad ending” that shouldn’t be there? ● MacArthur explicitly appeals to the number of manuscripts as evidence of the preservation of the original text: “we have so many accurate, consistent manuscripts that we know without hesitation that what we hold in our hands is an English translation of the original with no loss.” By “many,” he cannot mean three. But if he were to consult 99.8% of the Greek manuscripts of Mark (plus lectionaries, in which Mark 16:9-20 is routinely found), he would find the passage that he rejects! The moment one posits that the text of the vast majority of manuscripts is the text that should be accepted without hesitation, one surrenders any objection against Mark 16:9-20. ● MacArthur claimed that the oldest manuscript we have of Homer’s Iliad is from the thirteenth century A.D.: “We don’t have anything between the thirteenth century and the eighth century B.C. of Homer’s Iliad.” That is false, Over two dozen fragments of the Iliad exist which were produced before the thirteenth century A.D. Oxyrhynchus Papyrus 560, from the 200’s, is just one example. ● MacArthur claimed that Irenaeus, a prominent Christian writer in the 100s, was aware of “other endings starting to float around.” This too is false. In real life, Irenaeus – writing well over a century before Codex Vaticanus was made – clearly quoted Mark 16:19, stating that he was quoting from near the end of Mark’s Gospel-account. This shows that as far as Irenaeus’ manuscripts of Mark were concerned (and Irenaeus had been in Asia Minor, and southern Gaul, and Rome), the Gospel of Mark ended with verses 9-20. 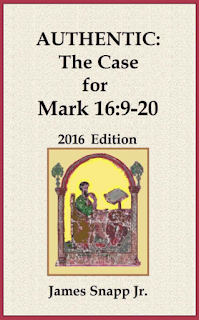 Contrary to MacArthur’s claim, the only way in which the Gospel of Mark ended, as far as we can tell from Irenaeus’ testimony, is with verses 9-20 included. Irenaeus does not express an awareness of the existence of manuscripts of Mark that end at the end of verse 8. Irenaeus does not indicate in any way that he is aware of manuscripts of Mark that end with the “Shorter Ending.” MacArthur’s statement about Irenaeus is 100% fictitious and 100% misleading. ● MacArthur claims that two other second-century writers – Justin Martyr and Tatian – also “show knowledge of other endings.” This too is false. The only ending of Mark attested in any way by Justin Martyr and Tatian is the ending that consists of verses 9-20. The Case for Mark 16:9-20. ● MacArthur claims that several endings were composed by people who tried “to help Mark a little bit with his abrupt ending.” However this too is false; exactly one alternative ending, the Shorter Ending, was created in Egypt, where the text had formerly circulated with no words after the end of verse 8. Except for the Shorter Ending – which stands alone after (most of) Mark 16:8 in exactly one Latin manuscript, and which appears along with verses 9-20 (or at least verse 9; incidental damage having affected the rest) in six Greek manuscripts (sometimes in the margin, sometimes with notes – see my book for details) – there are no endings of Mark after 16:8 that do not involve the presence of verses 9-20. When Grace To You spreads the claim that “several endings” were floating around, as if referring to several independent compositions, Grace To You misleads people. And where are the faculty members of The Masters Seminary on this subject? Where are the staff-members of Grace To You? Or the officers of Grace Community Church? These trusted men are entirely silent as far as I can tell – either too scared, too apathetic, too distracted, or too misinformed to adequately address the wild inaccuracies that are being spread daily by their school’s founder. Grace To You, you have one proper course of action: take down the video in which John MacArthur makes these false claims. This is not about debatable points of theology; this is not even about whether or not Mark 16:9-20 belongs in the text. 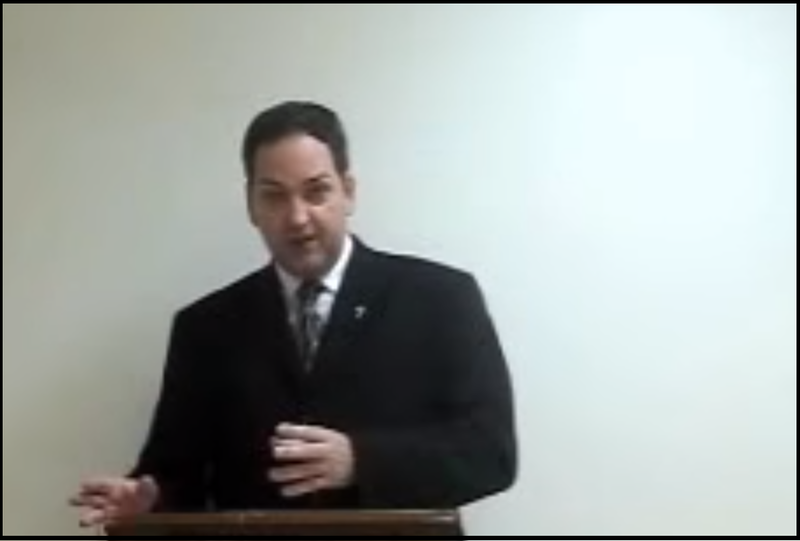 It is about whether Grace To You’s leadership and staff want to spread false statements, or not. Any teacher who aspires to inform listeners, rather than misinform them, would be happy to improve his work by removing false claims. If Dr. MacArthur and Grace To You do not stop spreading these claims, having been informed that the claims are false, the only conclusion that can reasonably be drawn is that these men continue to spread false claims because they have decided to do so. When I ask if John MacArthur is a liar, I do not mean for this to be construed as an accusation but rather as an invitation: please show me, Dr. MacArthur and Grace To You, that you do not want to continue to spread false claims. My favorite was when he said that "all the other manuscripts" end at verse 8!